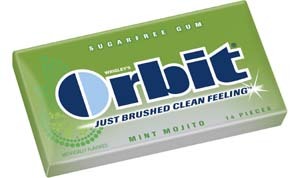 Orbit Mint Mojito: The stick smelled of spearmint and bathroom cleanser. At first chew there was a strong yet unidentifiable citrus high note. 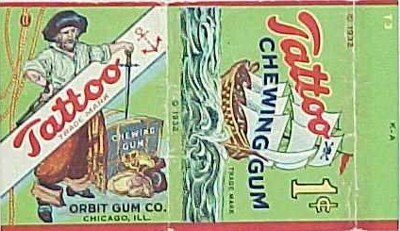 After 30 seconds of thoughtful chewing, a subtle lime flavor whispered within a faint and pleasant spearmint. After about five minutes, it was something not quite lime and not quite spearmint. The confusion was rather amusing, but like a doomed relationship, the intriguing beginning couldn’t survive the long haul. Still, not a bad chewing experience. 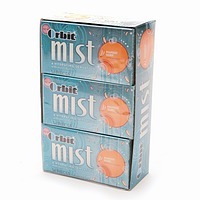 Orbit Mango Surf: The stick smelled of cough syrup and cinnamon-apple potpourri. (I’m not making this up.) On first chew it was crunchy – yes, crunchy! A very strong and authentic mango high note that dissipated as the “MicroBurst” crystals softened. Where the Mint Mojito was soft, the Mango Surf was tough, more akin to a bubble gum texture. The mango flavor subsided considerably after two minutes but was still present and provided a mildly enjoyable chew. Ingredients in both gums were identical, but the Mist contained erythritol (a natural sugar alcohol found in fruits and fermented foods), sucralose (super-sweet artificial sweetener marketed as Splenda) and gelatin. After a little bit of digging, I now see Orbit in a whole new light. That’s the beauty of history.